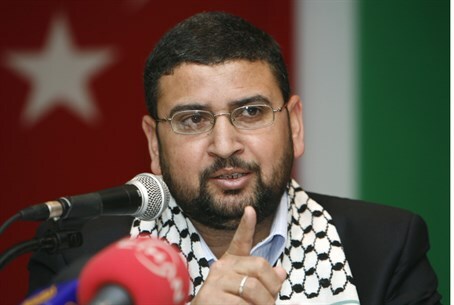 Hamas spokesman beaten by Gaza residents, who blame Hamas for the killing and destruction they suffered. Palestinian Arab sources said Tuesday that Gaza residents attacked Hamas spokesman Sami Abu Zuhri Saturday evening, near the Shifa Hospital. Abu Zuhri had arrived at the hospital for an interview with a news outlet. The residents blamed Hamas for the death of family members and for destruction of their homes. Armed Hamas terrorists from the Izzedine al-Kassam Brigades extricated Abu Zuri and arrested the angry residents. Arabic website vetogate.com said that reporters in Gaza are well aware of the incident but are afraid to report it, because Hamas's security agency could go after them if they do. A week ago, Palestinian sources reported that over 30 Palestinians were executed by Hamas, most of them in the Shejaiya neighborhood. Hamas claimed that they were collaborators with Israel. Channel 10 said that Hamas executed 20 residents of Shejaiya who had dared demonstrate against Hamas. Rockets were fired at Israel from next to Shifa Hospital during the fighting in Gaza, and Hamas's leadership hid under it.